Jennifer Douglass is living proof that the movie business can get into your blood and make it difficult to pursue other professions. She has been working in motion picture exhibition since a day before her 15th birthday when she was hired by AMC Theatres as a popcorn scooper. More than 29 years later, Douglass has worked her way up AMC’s corporate ladder to become Vice President of Dine In Theatre Operations. She has spent the better part of the last six years overseeing the expanding menu options in select cinemas of the largest exhibitor in the world, becoming one of the industry’s most influential food and beverage executives in the process. In speaking with Douglass it quickly becomes obvious that any discussion of her career at AMC provides the perfect window through which to survey the transformations of the exhibition industry and the company itself during that extended period of time. Before making it to the circuit’s head office in Leawood, Kansas, Douglass began her career as a staff member bouncing around between AMC cinemas in her hometown of San Diego. After graduating from San Diego State University she took salaried managerial positions with the chain. Though San Diego wasn’t exactly a booming market in the mid-1990’s AMC decided to build two theaters; the La Jolla 12 and the Mission Valley 20. In 2002, when Douglass eventually decided to make the move to Kansas City, she had worked her way up to be the general manager of both AMC’s Fashion Valley 18 and Mission Valley 20 in the heart of San Diego. Leaving her hometown was not a move Douglass made lightly, but AMC offered her a dream job as Direct of Field Training. Douglass has a degree in education and even spent a year teaching junior high school in what turned into a failed attempt to leave AMC. “I kept saying this is going to be my grown up job, I’m going to go be a teacher,” Douglass laughed at the memory. However, the movie business is hard to shake and when AMC asked her to take charge of the training programs for all of the company’s field level personnel she jumped at the chance. Upon moving to Kansas City, Douglass helped develop and oversee training and development for all of AMC’s front line positions such as concession, usher and box office cashier. As well, she handled manager training programs, leadership development, and maybe most importantly, established all of the business classes that AMC provides to managers, helping them become more well rounded in terms of food and beverage and human resources. As a director of operations Douglass had 35 general managers reporting to her and, among other responsibilities, was tasked with delivering on all of the financial, customer satisfaction and engagement goals for her theatres. Being given the autonomy to drive revenue for an entire region gave Douglass the feeling she owned her own piece of the business. It also allowed her to see how what she was doing connected to the rest of AMC as a company. After two years in the role Douglass was promoted to Vice President of Operations Excellence where she dealt directly with customers, especially ones that had feedback for AMC, both good and bad. “When someone was very upset and they called and asked to speak with the CEO, then that means the phone call was transferred to me,” is how she jokingly described the job. In reality the Operations Excellence group is tasked with taking all of the customer feedback and examining the companies best practices looking for procedures or processes which might be broken or not functioning properly. “Operations Excellence really connects the dots between any breakdown in the guest experience with the operations team,” she clarified. While Douglass was heading up the Operations Excellence group AMC began its dine-in program, offering a full menu of restaurant quality food delivered right to a customer’s seat. She managed to partner with both the F&B group and the operations team to develop a service strategy for how the company wanted the dine-in experience to look and feel to their guests. And naturally, Douglass not only moved into F&B but soon enough helped broaden its purview. Initially she was focused on the traditional side of AMC’s concession business; think popcorn, soda and hot dogs. Everything having to do with dine-in, from the menu to planning to chefs, all fell under that. Convincing most of their patrons to buy more than a movie ticket was one of many reasons the company decided to enter the dine-in business back in 2008 when they converted two underperforming theatres to the concept; AMC Buckhead 6 in Atlanta and what is now the AMC Studio 28 outside Kansas City. 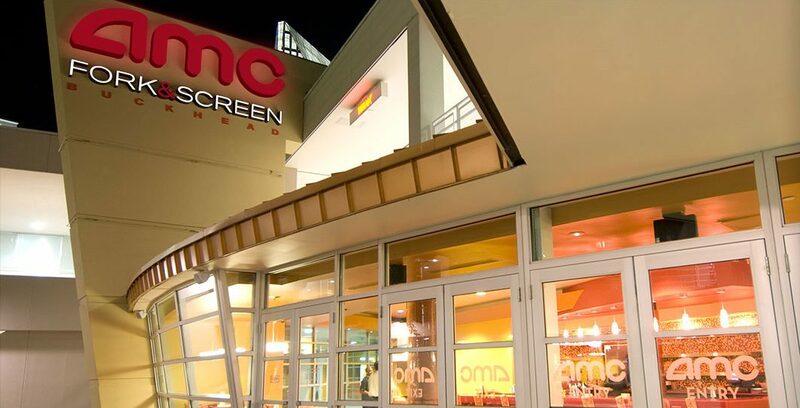 AMC had always been paying attention to dine-in trends within the cinema industry, like those implemented by Alamo Drafthouse, Studio Movie Grill, Movie Tavern and others. They were also monitoring consumer trends and realized people’s needs had changed; they were more pressed for time and didn’t always have time to stop and have dinner before going to a movie. Customers wanted more options to be available and AMC felt they could provide them. There was just one problem. 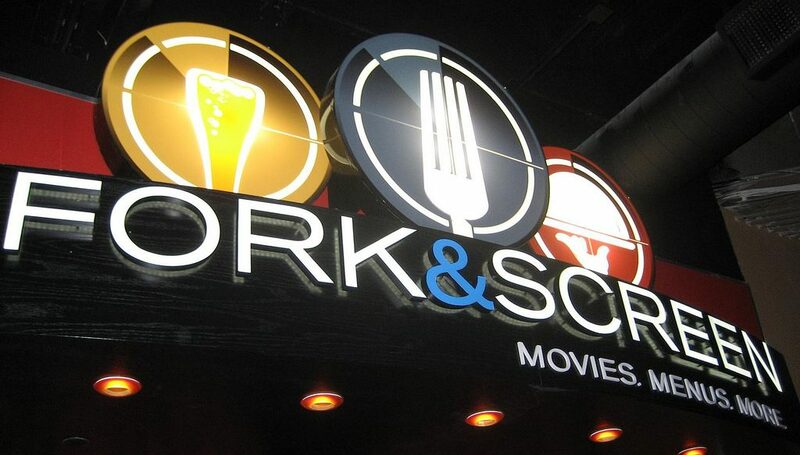 Fork & Screen is one of AMC’s Dine-In concepts, designed for guests of all ages. When Douglass says “both” she is referring to the two dine-in concepts AMC launched; Fork & Screen, for all ages, and Cinema Suites, a more upscale offering designed for as a 21+ experience. From its first two trial theatres in 2008, AMC has expanded the offering to 42 cinemas across 29 markets in 19 states. In most instances, the company takes an existing asset and converts it to a dine-in theatre, as they did in Marina Del Rey, California. In a territory that was arguably over-screened during the 1990s, AMC has found itself updating plenty of multiplexes and, in the process, determining if the location might be appropriate for a dine-in experience. Indeed, the location, build-out and marketing of a dine-in theatre are but some of the many challenges when implementing the dine-in concept in cinemas. Just as important is a menu filled with reasonably priced, delicious food. That’s where Nels Storm comes in as the Senior Director of Culinary. 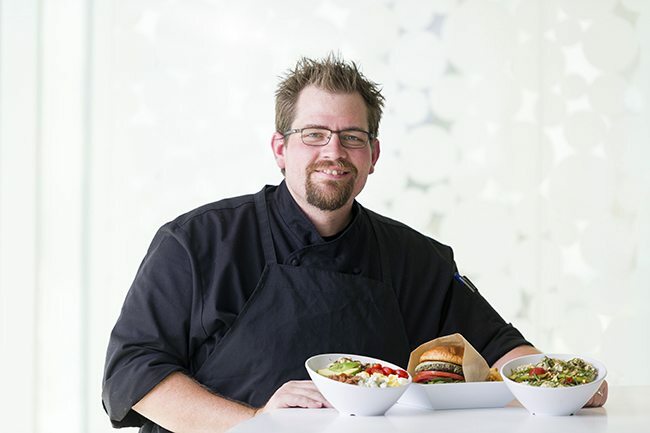 Reporting up through the F&B group he works with two chefs; one focuses on the traditional side of the concessions business and the other is perfecting the dine-in side. He also oversees food quality, food safety and, like any good executive chef, food cost.